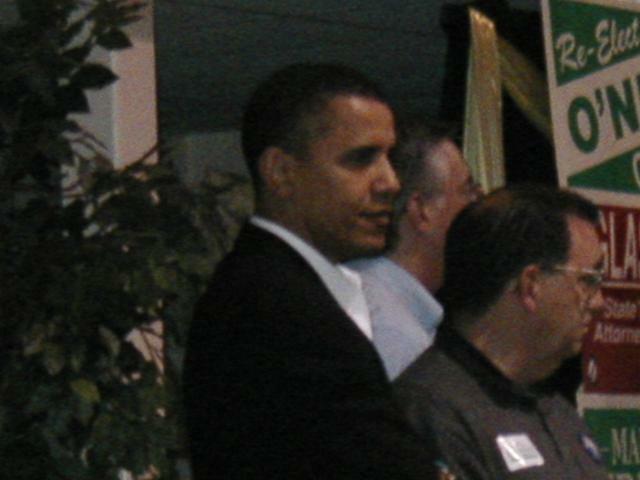 In late May, I attended a rally for the Democratic candidate for Senator from Illinois, Barack Obama. Sen. Obama was a great speaker, and I got to meet him and get a picture after the rally. All photographs are available in larger versions. Please contact Brian Sebby, brian@sebby.org, if you would like to get a copy of a particular photo.